Popping out of a press embargo rather more quickly than expected, the HTC Wildfire is a cute little brother to the Desire and aimed at a younger audience. When a phone is aimed at a younger generation, it usually means two things: 1) it’s cheap; 2) it’s got some crazy hyperactive social networking interface. 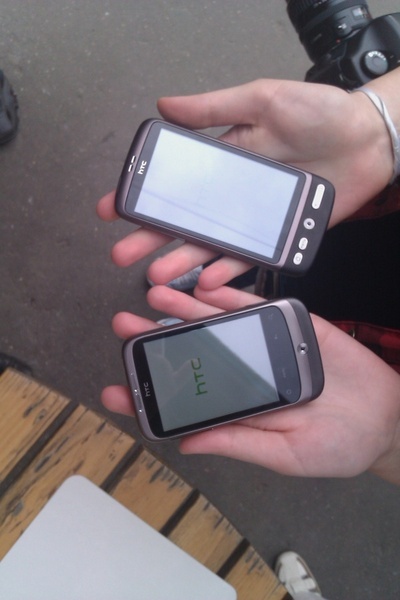 The HTC Wildfire checks yes on both those fronts. Expected in UK store from July, prices haven’t been released yet, but we’re told it’s going to be “affordable”. Packed behind the HTC Sense interface are an array of social networks and messaging services that allow an integrated communication hub. Select a contact to phone for example and their Facebook picture will pop up along with details of when their birthday is and status updates. 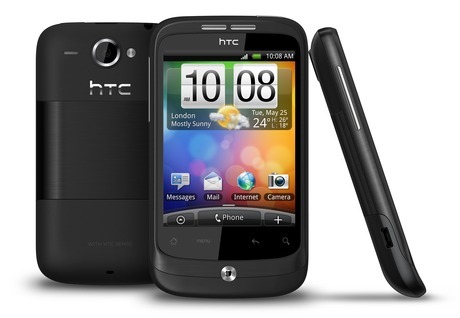 Each contact viewed in HTC Wildfire’s address book includes a thread of recent communications with that person, including when you last spoke, recent text messages and emails, and social network updates. They call it a people-centred way to organise information. Another feature expected to be big on the Wildfire is an app-sharing widget which will be native on the new phone, letting people share apps from the vast Android store with their friends. The specs are similar to the Desire’s but cut a few corners to pull the price down. The Wildfire has a smaller screen: it’s 3.2 inch to the Desire’s 3.7, and it’s a standard QVGA rather than swish OLED. The Wildfire also has slower chipset and less memory. I have set my eyes on the HTC Legend, but I’m slowly veering toward the Motorola Milestone.